Alden Richards, Matteo Guidicelli, Jc De Vera, Janine Gutierrez, and Ms. Cherry Pie Picache are SHARE’s new ambassadors, Boardwalk’s newest fashion and lifestyle sub-brand with a social development platform that is launched in connection with their 25th year in the industry. 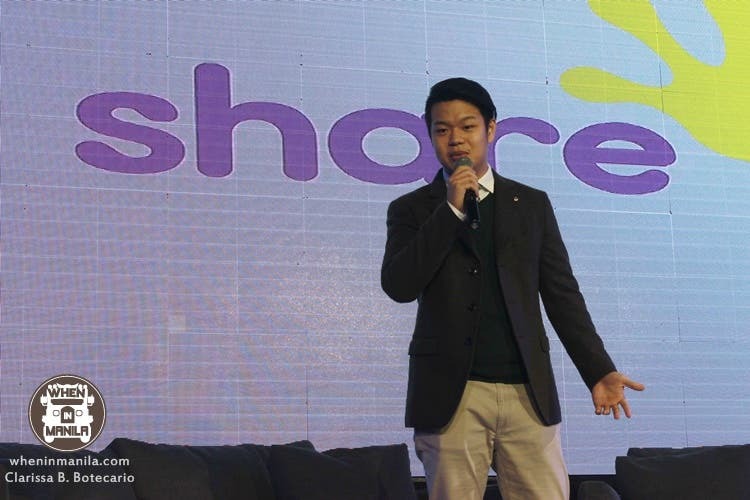 Inspired by his parents’ hard work prior to the founding of Boardwalk, Ivan Madera, president of Share, spearheads the advocacy in which every consumer of Share’s products will not only enjoy these fashionable items but also contribute 25% of what they pay to the Small Business Starter Program. “Help other people first, then happiness will come after,” Madera says. Developed by Share Foundation by Boardwalk and Boardwalk Charity Foundation, Inc., the program aims to help less fortunate Filipinos gain capital and confidence in social entrepreneurship for them to succeed in the business. “Mas rewarding above all, ‘yong how we make a change to a certain group of people,” YES volunteer Alden Richards states as he tells about his actual experiences in social entrepreneurship, together with Rags2Riches President and Co-Founder Reese Fernandez-Ruiz. Alden, apart from sharing, also serenades the crowd with his rendition of Akin Ka Na Lang by Itchyworms. Matteo Guidicelli and Janine Gutierrez share their views with Share’s advocacy campaign—how the mere act of purchasing its product can make an impact to people’s lives. 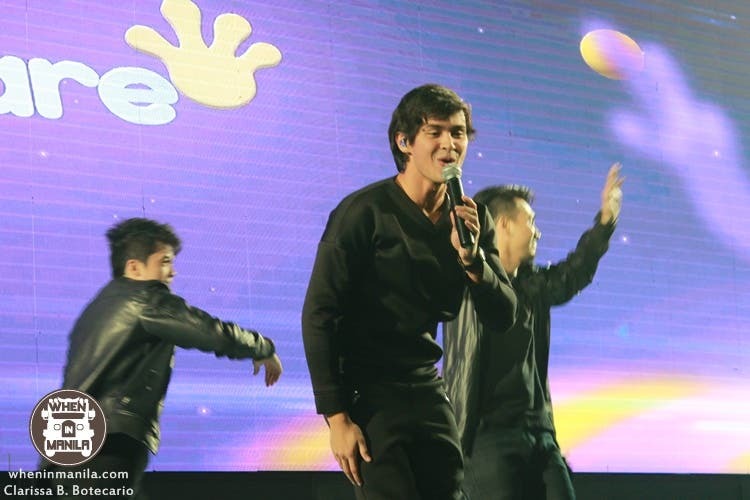 Singing his newest song Ipapadama Na Lang, Matteo also entertains the guests of the event. As part of the launch, Share introduces the shirts by local designers that have a 25% contribution to the program upon purchase. Share believes that great satisfaction comes from sharing with others. As consumers, each fashionable and comfy shirt we buy might be a simple thing but it is, actually, a big help to our aspiring entrepreneurs.